Born in Paris where he began studying music at the age of 5. He has been a professor at Conservatorio Juan José Castro since 1981 and he is also part of the Camerata Bariloche from its inception. He studied violoncello, composition and orchestral conducting with maestros Maurice Maréchal, André Navarra, André Lévy, René Duclos, Henry Challan, Jacobo Ficher, Teodoro Fuchs, Jacques Bodmer and Pedro I. Calderón. He performed as first soloist with Orquesta de Cámara and Orquesta Estable of Teatro Argentino de La Plata. He was part of the Orquesta Filarmónica de Buenos Aires and cello soloist of the Orquesta Estable del Teatro Colón. He served as a professor not only at National Music Conservatory López Buchardo, Music Conservatory Manuel de Falla but also at Teatro Colón’s Art Advanced Studies Institute (ISA). He played as soloist in the Orquesta Sinfónica Nacional, Orquesta Estable del Teatro Argentino de La Plata, U.N. de San Juan and Orquesta de Cámara de La Plata among others. He has been granted a scholarship by Bariloche Foundation on several occasions in order to attend the courses given by the Inter-American Academy of Chamber Music with maestros Alberto Lysy, Wolfgang Melhorn and Ljerko Spiller. He also won a grant by Teatro Colón Foundation so as to attend the courses by maestro Arto Noras in Lucerne (Switzerland). The Federal University of Paraíba (Brazil) invited him along a year to become part of its faculty and string quartet. He was involved in the premieres of many Argentine composers’ works, some of which were even dedicated by their authors. Born in Buenos Aires, in 1970 he began his double bass studies. He is currently the soloist at the Camerata Bariloche and the Ensamble Estación Buenos Aires. He is a professor at the Schools Orchestras Provincial Program and he also serves as professor to young musicians. He studied at Music Conservatory Manuel de Falla with maestros Hamlet Greco, Ángel Ridolfi and Nicolás Finoli. He played as soloist with Orquesta Sinfónica Nacional, Camerata Bariloche and Orquesta de Cámara de la Municipalidad de La Plata, giving also concerts in the Golden Hall of Teatro Colón, Auditorio de San Juan, Mar del Plata, Bariloche, Uruguay and Panama. He performed many concerts along with chamber ensembles as Cuarteto de la Universidad Nacional de La Plata, Sinfonietta Omega and Ensamble Instrumental Buenos Aires, and he was also member of the Orquesta del Teatro Argentino de La Plata and Orquesta Estable del Teatro Colón. He was part of the "Millenium Gala Concert of the Nations" in the Lincoln Center of New York invited by the The Symphonicum Europae Foundation. He was also member of the Super World Orchestra made up of musicians out of the five continents under the conduction of maestro Yukata Sado, touring across Japan. Together with maestros Thomas Martin and Catalin Rotaru, he was part of the faculty of the International Double Bass Festival. He was awarded the Konex Award 2009 in the category "String Instrument Performer". Born in San Juan, he started studying music at the age of 9. Currently, he serves as substitute concertmaster of the Orquesta Sinfónica Nacional and he is a professor at Music Conservatory Astor Piazzolla from Buenos Aires. Szymsia Bajour and Fernando Hasaj were his maestros, and then thanks to a scholarship by Teatro Colón Foundation he went on studying in the United States with Rubén González; he performed piano recitals at the Northeastern Illinois University and won the concertmaster audition of the Civic Orchestra of Chicago. He was concertmaster of the Latin American Youth Orchestra. The Antorchas Foundation, Argentina’s National Secretariat for Cultural Affairs, and the Spanish Agency for International Development Cooperation (AECID) awarded him a grant for him to attend a violin course with maestro Zakhar Bron, organized by the Reina Sofía School of Music of Spain in Santander. He performed as soloist with Orquesta de Cámara del Congreso, Orquesta Municipal de La Plata, Orquesta de Cámara Mayo, Camerata Bariloche, and symphony orchestras of Avellaneda, Mar del Plata, Bahía Blanca, Entre Ríos, U.N. de San Juan, Cuyo and Orquesta Sinfónica Nacional conducted by maestros G. Plis Sterenberg, R. Zemba, O. Saúl, A. Spiller, A. Izmirliev, C. Vieu and P. I. Calderón. In 2013 he premiered the Shostakovich’s Concerto No. 2 in Argentina together with Orquesta Sinfónica Nacional conducted by Carlos Vieu. In 2014 he recorded the Concerto for Violin and String orchestra of Argentinian composer Claudia Montero, which won a Latin Grammy award to the Best Classical Contemporary Composition (2014). Born in Madrid (Spain), Marta Roca began her musical studies at the age of 5. She is currently member of the Camerata Bariloche, performs chamber music recitals and is frequently invited as concertmaster in popular and classical music projects; high points of her career are her solo playing and musical production in recordings of renowned Argentine films. She is also a member of the Trío Arizcuren, Ensamble Nox, "Roca-Rubino" violin duet and "Roca-Wiman" piano and violin duet. S. Fatkouline y Z. Bron were her mentors at the Reina Sofía School of Music, and J. M. Sloman in Meadows School of Arts (Dallas, USA), she obtained her Bachelor’s Degree in Music and her Artist Diploma after winning several grants (Meadows Awards, Ministry of Culture of Spain, Albéniz Foundation, AIE). She has given concerts in Europe and America and she has played with the Orquesta RTVE, Real Philarmonía of Galicia, Orquesta de Cámara España, OSNA, OFBA and CETC. As a soloist, she performs with chamber orchestras of Congreso de la Nación and UCA, Camerata Bariloche; and symphony orchestras of Entre Ríos, Bahía Blanca, and Teatro del Conocimiento in Posadas, Misiones. She participated in the following recordings: along with the Meadows Wind Ensemble, she recorded La Creation du Monde of Milhaud; together with the Trío Arizcuren, the Montsalvatge’s Quadrivium for three Stradivarius; and finally Quatuor pour la fin du temps by Messiaen and Takemitsu’s Quatrain II with the Ensamble Nox. As the owner of both an inquiring and creative mind, she has premiered in Madrid and Buenos Aires her work "Palabras Cuerdas", a piece for violin and an actor, directed by Gonzalo Córdova and performed by actor Julián Calviño. Born in Uruguay into a music family, he began studying violin at a very early age. 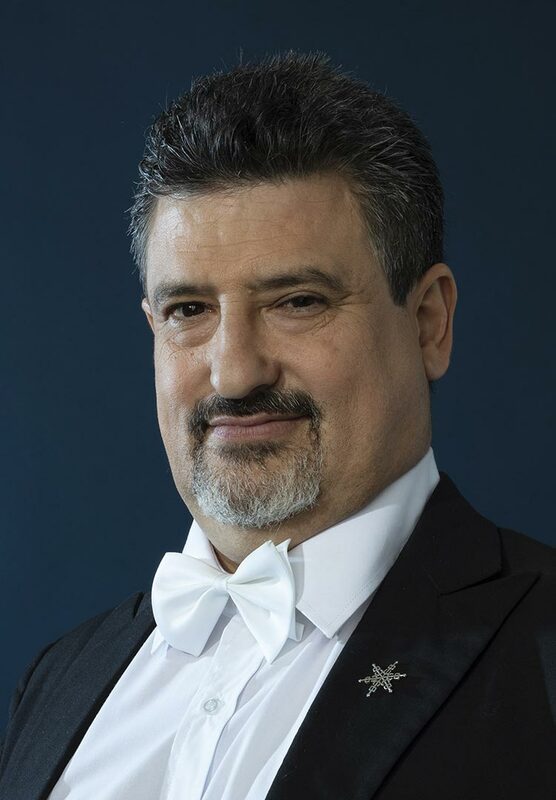 Currently he performs at the Orquesta Filarmónica de Buenos Aires, position that he has won through an audition in 1983; besides he has become part of the Camerata Bariloche in 1985 and at present he is the associate concertmaster of the ensemble. 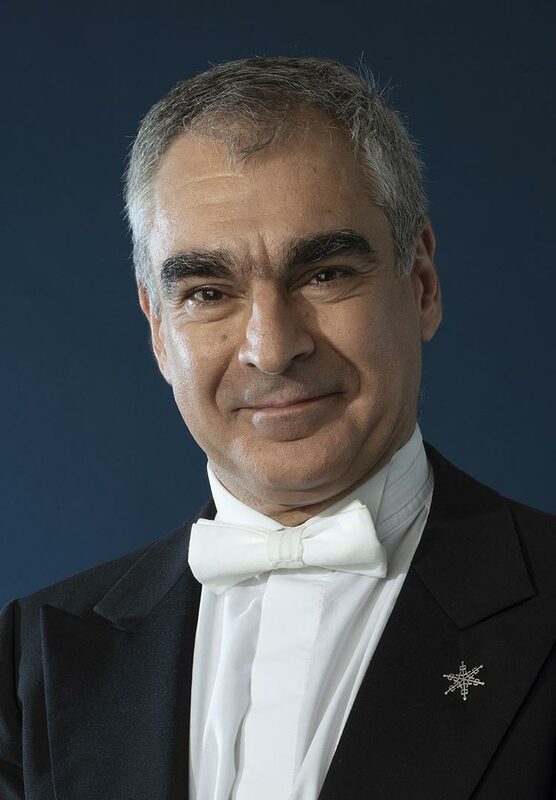 He is founding member of Nuevo Trío Argentino and "Manos a las Obras", a program of concerts and masterclasses with pianist Haydée Schvartz sponsored by Radio Nacional Clásica and on the air for 10 seasons already, and also at universities and music conservatories of Argentina and Latin America. He holds the contemporary violin chair at the Music Conservatory Manuel de Falla. In 1999 he took part in "The Millennium Gala Concert of the Nations" in the New York Lincoln Center together with soloists from more than 50 countries. He has performed several chamber music concerts in various ensembles in different countries, and he has also performed as soloist with symphony orchestras from Argentina and Latin America. Thanks to his recordings, he was awarded with the Premio Gardel in the category ‘Classical Music’ in 2003 and he was shortlisted to the same award in 2004, 2016 and 2017 with different recordings. He was a Latin Grammy nominee in 2004 as well. Together with the Trío Argentino he was honoured with the ‘Best Chamber Ensemble’ award of 2003 season by music critics associations from Argentina and Chile, and the Konex in 2009. Born in Sofia, Bulgaria, where he began his studies at the age of 7 at the National School of Music "Lyubomir Pipkov". At present he is the principal soloist at the Orquesta Estable del Teatro Colón and also the first cello of Camerata Bariloche. He has remarkably performed in chamber groups; he is member of the Opus Trío and teaches classes at the Music Conservatory of Buenos Aires. Between 1988 and 1991 he was a student of professor Zdravko Jordanov at the National Academy of Music "Pancho Vladigerov". 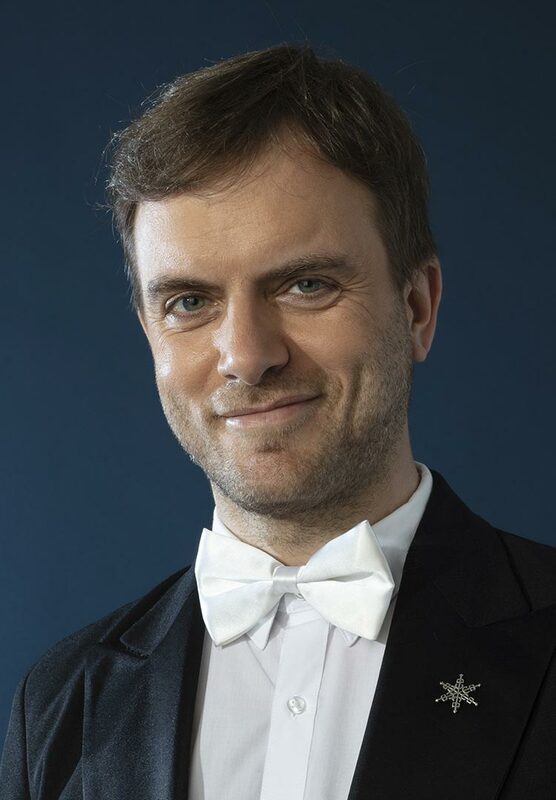 After graduating from the Conservatoire de Paris and the International Menuhin Music Academy (Switzerland), where he studied with Yehudi Menuhin, Alberto Lysy and Lorry Walfisch among others, he became Radu Aldulescu’s assistant professor and joined the Camerata Lysy Gstaad as first cello. He was also professor of the Royal Danish Academy of Music (Denmark), the Malmö Academy of Music (Sweden) and the IMMA (Switzerland). He held the first position in the Danish National Symphony Orchestra, Orchestre de la Suisse Romande, and he was also the first cello of the Orchestre Philharmonique de Monte-Carlo. He was soloist in different symphony orchestras. He was granted a scholarship by the International Menuhin Music Academy in Gstaad (Switzerland) in 1991 to perfect his musical performance. In 1994 he was honored at the Concours de violoncelle Rostropovitch in Paris, and he also won the special prize to the Best Performance of Alfred Schnittke’s work. Born to a family of musicians in Concepción, Chile. He is the concertmaster of the Orquesta Estable del Teatro Colón since 2010, and first violin and musical director of the renowned Camerata Bariloche since 2011 with which he goes on national and international tours. At 7 he started studying with Patricio Damke, and then he went to the Universidad Católica de Chile with professor Rubén Sierra and after that he got a scholarship by Carnegie Mellon University in Pittsburgh, USA, with Daniel Heifetz (disciple of the prestigious maestro Ivan Galamian) with whom he would continue later at the University of Maryland, USA. He also attended masterclasses given by the members of Cuarteto Guarneri. In 2003, he was assistant concertmaster in the Orquesta Filarmónica de Chile and finally concertmaster until 2007. He also was the concertmaster of his hometown symphony orchestra until 2010. As soloist, he played along the most important orchestras in Argentina, Chile, Perú, Brazil, Uruguay, Colombia, Paraguay and Ecuador, also in Central America and North America. In 2012 Opus Trío is founded by him together with pianist Paula Peluso and cellist Stanimir Todorov, being selected by the Music Critics Association of Argentina as the best Argentine chamber music ensemble of 2014. Among his many achievements and awards are the "Young Violinists Competition" (Annapolis, Maryland), the "First Competition Jorge Peña Hen" (La Serena, Chile), the "Young Talent Competition" and the "First National Competition Enrique Iniesta". Born in Bloomington, Indiana (USA), Grace Medina began studying music at the age of 4 with the Suzuki Method and under her parents’ guidance. She currently holds the first violin position of the Orquesta Filarmónica de Buenos Aires after winning an audition in 1992; in 1989 she had joined Camerata Bariloche, and at present she is the lead of the second violins section. She is also a member of the Cuarteto Promenade since 2012. She studied with Finlay Ferguson and continued as a grant holder with Elías Khayat and the soloists of the Camerata Bariloche (Citibank), Fernando Hasaj (Antorchas Foundation) and Henry Rubin in the Sewanee Summer Music Center where she held the concertmaster position in the Sewanee Symphony and won the Merit Award. She attended masterclasses with S. Accardo, A. Lysy, G. Dicterow, L. Spiller, N. Chumachenco, N. Brainin, P. Thomas and Cuartetos Amadeus and Guarneri. She was part of the Cuarteto de Cuerdas Buenos Aires between 1992 and 2013. She performed as soloist with the Orquesta Filarmónica de Buenos Aires, Sinfónica Nacional, Sinfónica de Bahía Blanca, Municipal de Córdoba, Camerata Bariloche, Atlanta Emory Orchestra and Emory Wind Ensemble. She has been also awarded with the 1º Prize of the National Young Musicians Competition (Bahía Blanca, 1994); recording of "Tangos con Gracia" (sponsored by the Córdoba Municipality, 1995); Konex 1999, as a member of the Cuarteto de Cuerdas Buenos Aires; Emory Chamber Society of Atlanta (2002) and Highland Cashiers Festival, North Carolina (2003) guest artist, and a Latin Grammy Award for Best Classical Album 2005 for "Riberas" together with Paquito D’Rivera and the Cuarteto de Cuerdas Buenos Aires. 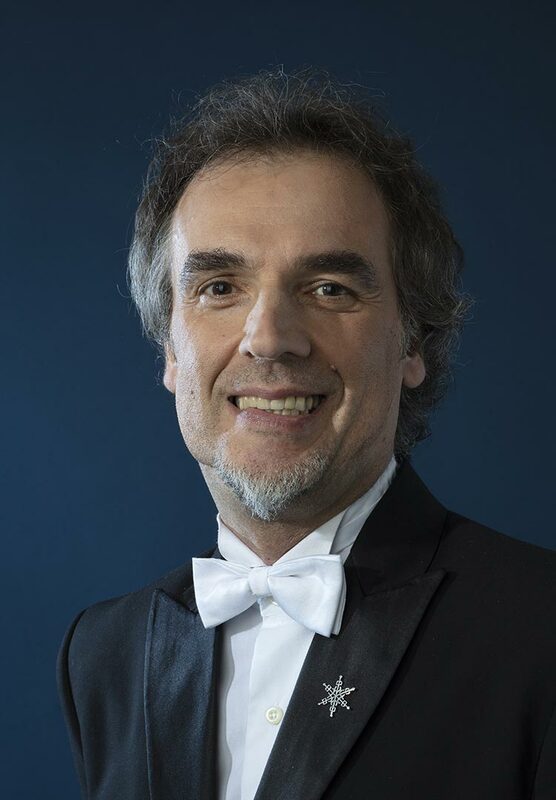 Martín Fava plays at the first violin section in the Orquesta Sinfónica Nacional since 1995 and also at the Camerata Bariloche since 2007, he has gone on tour on several occasions not only along Argentina but also abroad. He was born in San Francisco city in Córdoba province, Argentina. He began his musical studies at a very young age and graduated from the Music Conservatory Arturo Berutti of San Francisco, Córdoba, in 1993 as Violin Professor. Later he continued his studies with Fernando Hasaj in Buenos Aires. 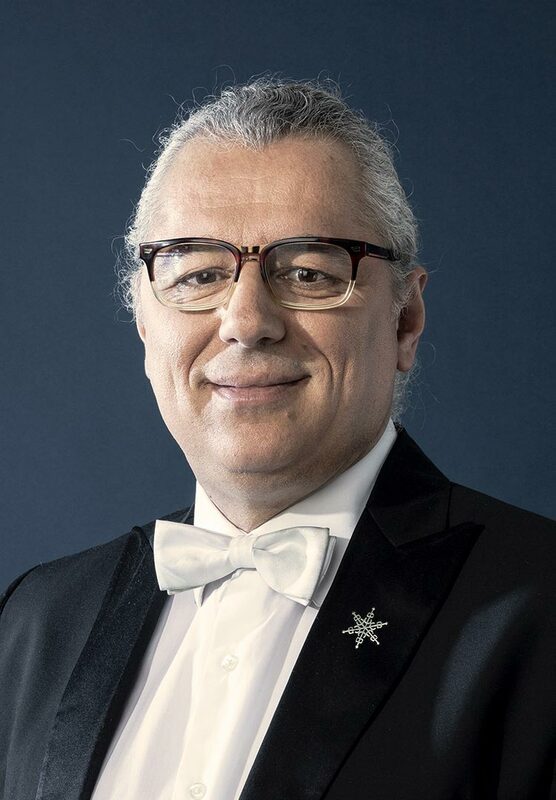 He has also studied with Szymsia Bajour in Argentina and with Maurice Hasson (London 1997) and Pierre Amoyal (Switzerland 2000-2001) in Europe. He has performed many times as soloist with Orquesta Sinfónica Nacional under the conduction of maestro Pedro Ignacio Calderón performing P. I. Tchaikovsky, Antonin Dvorak, Maurice Ravel and Ernst Chausson works. He also performed as soloist with Camerata Bariloche and other Argentinian orchestras as well. At the same time he takes part in chamber music concerts and and instrumental music groups in the most important concert halls of the country such as the Teatro Colón and CCK in Buenos Aires. He was awarded with a scholarship of Antorchas Foundation in 1995 and 1996 and he has also attended masterclasses of maestros Alberto Lysy and Humberto Carfi (Argentina), Glenn Dicterow (USA) and Shlomo Mintz (Israel), among others. Born in Buenos Aires, he performs as oboe soloist in the Camerata Bariloche and Bach Academy of Buenos Aires; he is also a conductor. He studied at the National Music Conservatory Carlos López Buchardo and the Hochschule für Musik und Tanz Köln (Germany) thanks to a scholarship granted by the DAAD, his maestros were Pedro Di Gregorio,Teodoro Fuchs, Helmuth Hucke, Michael Gielen, Wolfgang von der Nahmer, Bruno Maderna, Heinz Holliger and his father Ljerko Spiller. 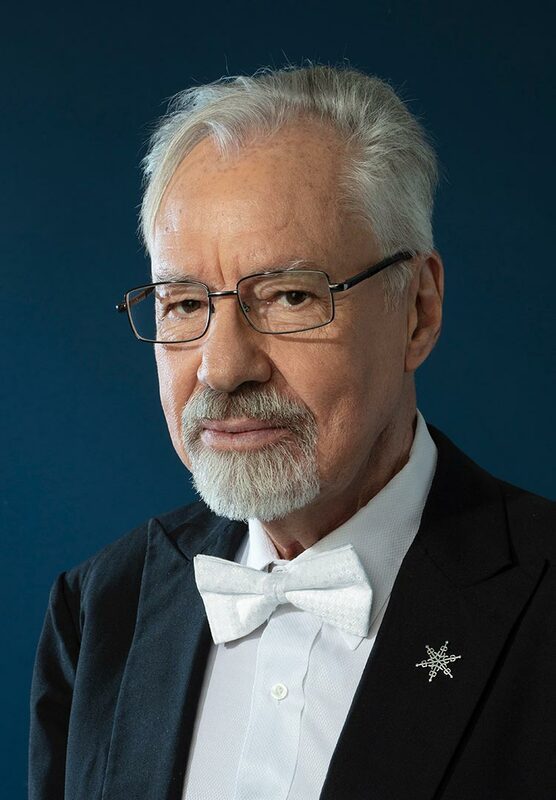 He was the conductor of the Orquesta de Cámara de La Plata (1978-2005), assistant conductor in the Orquesta Sinfónica Nacional (1994-2011) and Ensamble Musical de Buenos Aires, and professor in the Music Conservatory Juan José Castro. He joined the Orquesta Sinfónica Nacional at 19 where he played as first oboe. 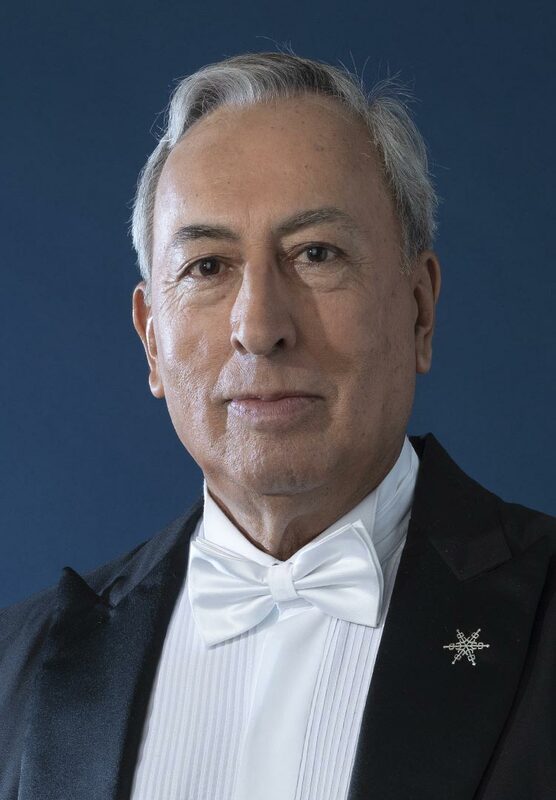 He conducted the most relevant orchestras in Argentina, Chile and Uruguay, and he was also part of the "Los Solistas de Música Contemporánea" as oboist and artistic coordinator. He performed in Europe invited by the Ensamble de Madrid and the Koeckert-Quartett. He was also professor in the Bariloche Musical Camping, Antorchas Foundation, Camerata Bariloche and Universidad Nacional de Cuyo, and he was part of different contest’s award committees. As an instrumentalist and conductor he performed for the first time the work of many Argentine composers, some of which were dedicated to him, and he also made public a collection of work from universal contemporary music. He was granted with the DAAD scholarship and also awarded with prizes from the Argentine Hebraic Society and Promociones Musicales (music association). In 1989 and 1999 he got the Konex Award in the category "Wood Instrument Performer". Born in Montevideo, Uruguay in 1952 and living in Argentina since 1987. 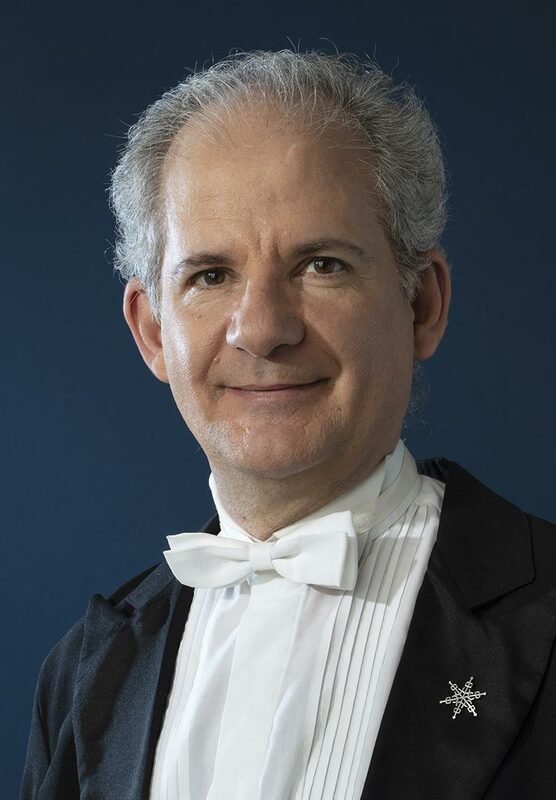 Currently he plays the viola as substitute soloist at the Orquesta Estable del Teatro Colón of Buenos Aires and he is part of the Camerata Bariloche since 1996. He studied music at the Municipal Music School of Montevideo with maestro Juan Fabbri, and then in Argentina with maestros Alan Kovacs and Fernando Hasaj. He was also part of the Orquesta Sinfónica del SODRE, the Filarmónica de Buenos Aires and the Orquestra de Câmara de Blumenau, Brazil. He has built an intense career in the chamber music arena not only in Argentina but also in Uruguay. His musical focus also includes contemporary music, highlighting his participation together with maestro Gerardo Gandini in the carrying out of many contemporary music subscriptions and chamber opera at Centro de Experimentación del Teatro Colón, and as a member of the group "Encuentros" of composer and conductor Alicia Terzián with whom he has completed many performance tours. He won the audition to become part of the World Youth Orchestra in 1984 in New Orleans (USA) and the Latin American Orchestra of that same organization. In 1991 he was honored with the First Prize in Chamber Music of Festivales Musicales and Antorchas Foundation. In 2001, he was awarded with the Latin Grammy as Best Tango Album together with composer Carlos Franzetti with the recording "Tango Fatal". Born in Buenos Aires, he is currently the first violin soloist of the Orquesta del Tango de Buenos Aires, member of the Camerata Bariloche since 2009 and member of the Buenos Aires Piano Quartet. He graduated from the Music Conservatory Alberto Ginastera of Buenos Aires, where he studied with maestro Edgardo Cattaruzzi, then continuing his formation with maestros José Bondar, Nicolás Chumachenco and Rolando Prusak; at present he continues his studies under the guidance of the latter. He has been intensively playing chamber music, in several of the most relevant Buenos Aires concert halls and in almost all the Argentinian provinces. He was member of the Orquesta Sinfónica Nacional and Orquesta de Música Argentina Juan de Dios Filiberto. 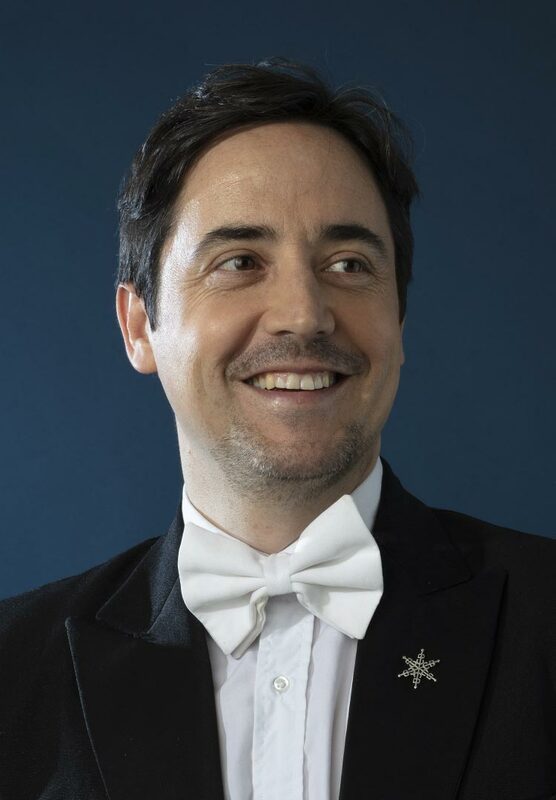 As soloist he has performed in the following orchestras: del Tango de Buenos Aires, Sinfónica de Tres de Febrero, Sinfónica de San Martín, Sinfónica de la Policía Federal, de Cámara del Congreso de la Nación and Universidad de Morón. Along with the Camerata Bariloche he has toured as soloist in Mexico, Guatemala, Panama and Uruguay. He was awarded the scholarship of Antorchas Foundation in 1999-2000. In 2004 he was chosen to play in the international Festival Orchestra of the Schleswig-Holstein Musik Festival (Germany) and between 2008 and 2012 he attended masterclasses with maestros Alberto Lysy, Eduard Grach and Zajar Bron. Together with pianist María Laura De Luca he won the "String and Piano First Chamber Competition" of Buenos Aires. Born in Moscow, Russia, Gloria Pankaeva is a cellist, member of Cuarteto Petrus since 2009 where she has been working intensely in the chamber music arena with renowned guest artists, taking part in the most relevant musical festivals in Argentina and abroad, and since 2013 she is also a permanent member of the Orquesta Filarmónica de Buenos Aires. At the same time she performs with Camerata Bariloche. She began her musical studies at the age of 5 at the prestigious Gnessin State Musical College in Moscow. 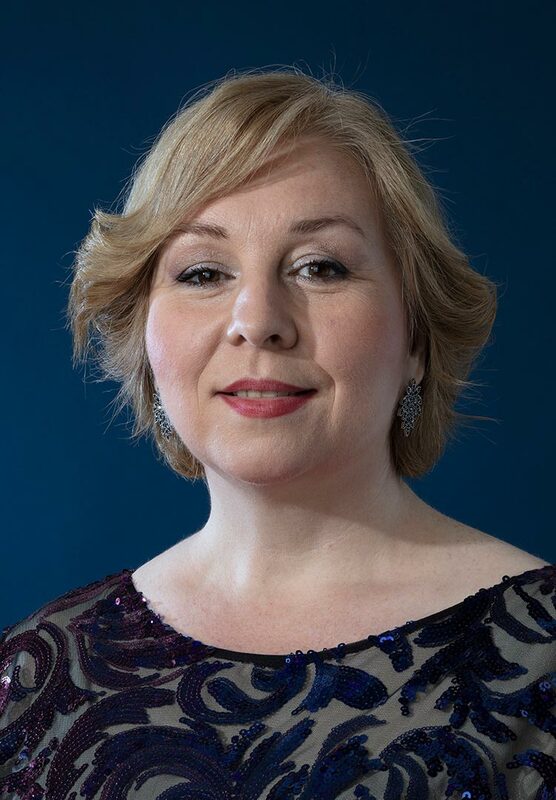 She graduated from Gnessin Russian Academy of Music in 1998 where she kept on training with acclaimed maestros such as Víctor Simón (cello soloist of the Orquesta Sinfónica BSO Tchaikovsky) and Elena Osól (member of the Russian String Quartet). Between 2001 and 2006 she was part of the Orquesta Sinfónica de Salta and in 2010 she entered the Orquesta Estable del Teatro Colón. She performed as soloist with the Orquesta Filarmónica de Buenos Aires, Orquesta Sinfónica de Salta, Orquesta Sinfónica de la Provincia de Tucumán, Orquesta Sinfónica de Bahía Blanca, Orquesta Juvenil del Teatro Argentino de la Plata, Camerata Bariloche and Camerata del Norte. In 2007 she won the First Prize of the "Nicolás Finoli" competition, carried out within the First Latin American Cello Festival of Buenos Aires. In 2012 the first recording of Cuarteto Petrus named "Tango Ballet" was released in Italy, devoted to the Argentine repertoire winning the "Francavílla di Sicilia Prize". Born in Elbasan, Albania. He is currently a member of the Camerata Bariloche and Associate Principal Second Violin at the Orquesta Filarmónica de Buenos Aires. He studied at the Onufri School of Music with maestro Ardian Cani continuing at the Academy of Arts of Tirana. 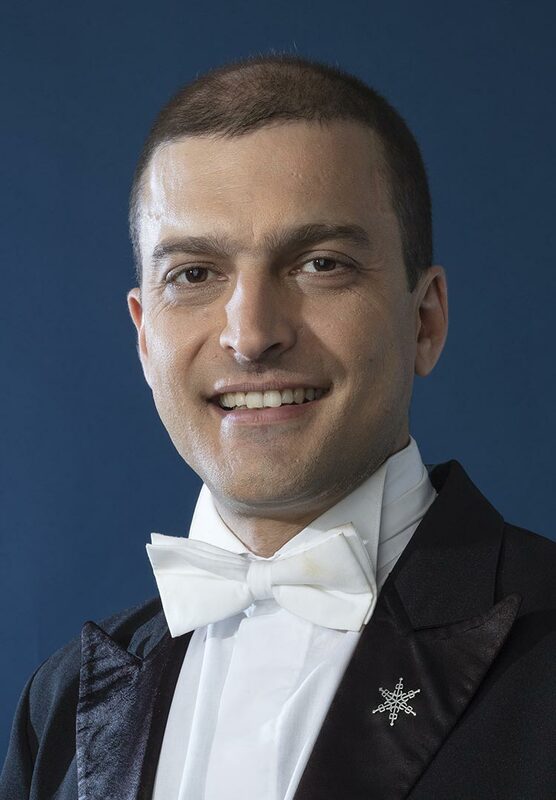 He began his soloist career when he was very young, and at the same time he took part in chamber ensembles or as a guest of important orchestras, playing in Albania, Italy, Argentina, Austria, Greece, Poland and Turkey. He was part of The National Theatre of Opera and Ballet of Albania, Albanian Radio and Television Symphonic Orchestra, Orchestra Internazionale d'Italia, Orchestra Sinfonica di Savona, Orchestra Della Magna Grecia of Taranto, Orchestra Sinfonica di Milano Giuseppe Verdi, and between 1997 and 2001 he was the concertmaster of the Orquesta Sinfónica Provincial de Bahía Blanca. In 2001 he won the audition in order to become part of the Orquesta Sinfónica Nacional. It is worth emphasizing the concerts in which he played as soloist together with the Orquesta Sinfónica Nacional, Camerata Bariloche, Sinfónica Provincial de Salta, de Bahía Blanca, Orquesta de Cámara Mayo, Orchestra Della Magna Grecia of Taranto among others. In 2001 he was invited to the "Hot Spring Musical Festival" in Arkansas, United States, and he went back in 2002 taking part in various concerts as soloist and giving violin masterclasses. He has toured several times through Europe as first violinist in tango ensembles. He has also performed in Argentina and Latin America as concertmaster of renowned pop musicians’ orchestras, such as Charly García’s and Fito Páez’s. Born in Córdoba, where she began her studies under her father’s guidance, Néstor Álvarez, and maestro Humberto Carfi. She is currently Associate Principal Viola at the Orquesta Filarmónica de Buenos Aires and a member of the Camerata Bariloche. Between 2001 and 2010, she studied with Alan Kovacs in Madrid and at the Conservatorio della Svizzera italiana with Bruno Giuranna, obtaining a major in viola. As a grant holder of the International Music Menuhin Academy, she studied with Nobuko Imai and Ettore Causa, and attended the chamber music course at Reina Sofía School of Music, Madrid. She attended classes and performed with artists such as G. Caussé, Y. Menuhin, E. Chumachenko, A. Lysy, C. Richter, P. Graffin, G. Tackasz, A. Falvay, M. Martin, F. Helmerson, F. Benda, M. Quarta, R. Cohen, V. Robilliard, A. Avital and G. Shaham. She has played as principal viola in the orchestras: Sinfonietta de Lausanne (Switzerland), de Cȃmara de Cascais e Oeiras (Portugal) and Filarmónica de Santiago de Chile. She has also been soloist with orchestras Sinfónica Nacional (where she played as substitute soloist), Filarmónica de Buenos Aires, Provincial de Rosario, Camerata Bariloche and she was a member of the Camerata Lysy as well. 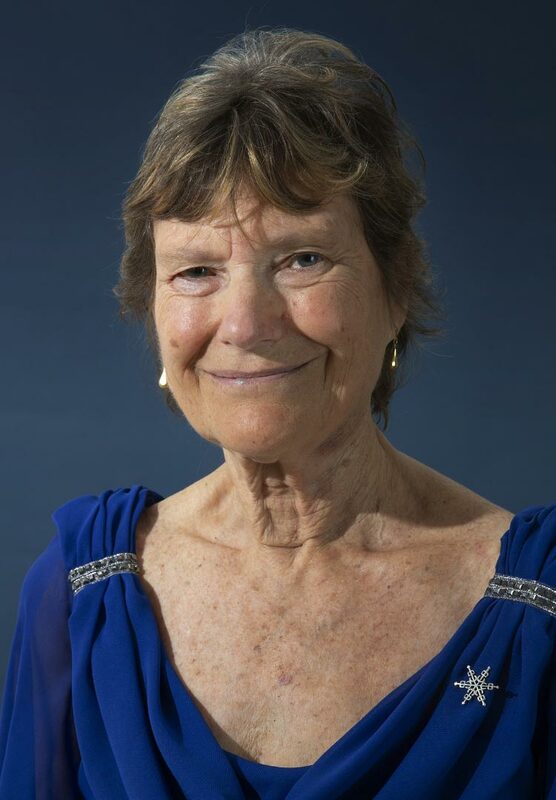 She took part as a professor in the courses of St. Croix (France), Uberlândia (Brazil), Virtuosi Gravatá (Brazil), Galas del Río (E. Ríos) and the Festival Siete Lagos (Bariloche). She was invited to represent Argentina to the 43° International Viola Congress 2016 (Cremona, Italy) and also to the 45° IVC (Rotterdam) together with Alicia Belleville and Juan Esteban Cuacci. Born in Buenos Aires. He holds a Bachelor’s Degree in Music from the Centro de Estudios Avanzados en Música Contemporánea (CEAMC). He performs as harpsichordist in Estación Buenos Aires (director Rafael Gíntoli), Compañía de las Luces (director Marcelo Birman), Compañía del Tempranillo (director Miguel de Olaso) and Ensemble Instrumentarium, Brazil (director Rodrigo Calveyra); he has made some recordings with many of them. Since 2017 he is also the musical director of the project Ópera Periférica that explores new territories and poetics for the opera, he has directed several performances. He studied piano with Agustina Herrera, Carmen Baliero, Haydée Schvartz and Fernando Pérez; harpsichord with Jorge Lavista and María de Lourdes Cútolo and composition with Coriún Aharonián. He directed "La Calisto" at the Ópera Estudio in the Teatro Argentino de La Plata. 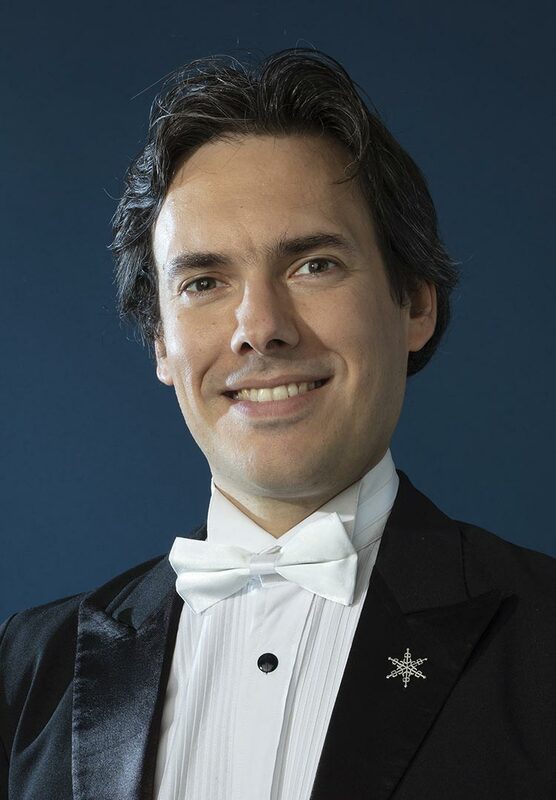 He has also worked as assistant director and harpsichordist with maestro Juan Manuel Quintana in the BA Lírica’s operas. 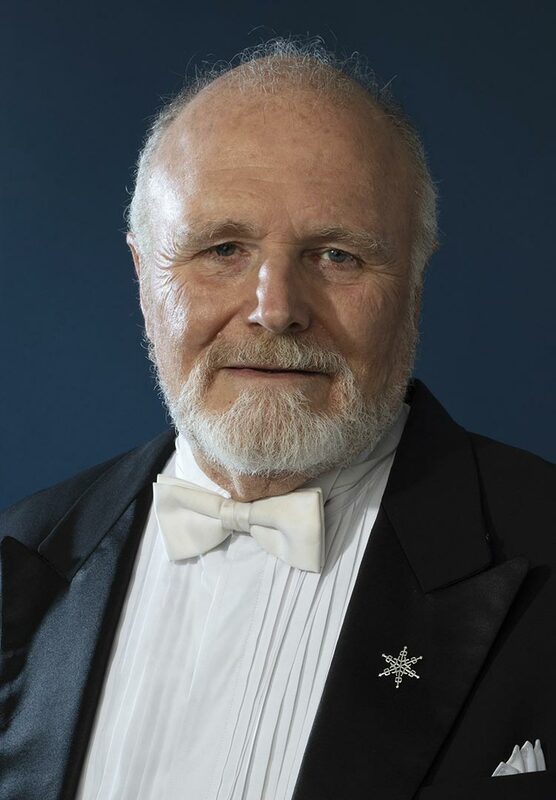 As a soloist, he has performed with the Camerata Bariloche, Orquesta Estable del Teatro Colón, Filarmónica de Buenos Aires, Orquesta Barroca del Suquía (director Manfred Kraemer), Sinfónica de Canal 7, Orquesta de Cámara de Rosario, Compañía Oblicua, Ensemble Musikfabrik (Germany), Opera2Day Orchestra (Holland), Camerata Antiqua (Curitiba), Orquesta Nuevo Mundo (Chile), among others. He has premiered piano and harpsichord works of many Argentinian composers. He is frequently invited as a specialist in baroque and classical opera, oratorio and chamber music. Born in Rosario, Santa Fe. 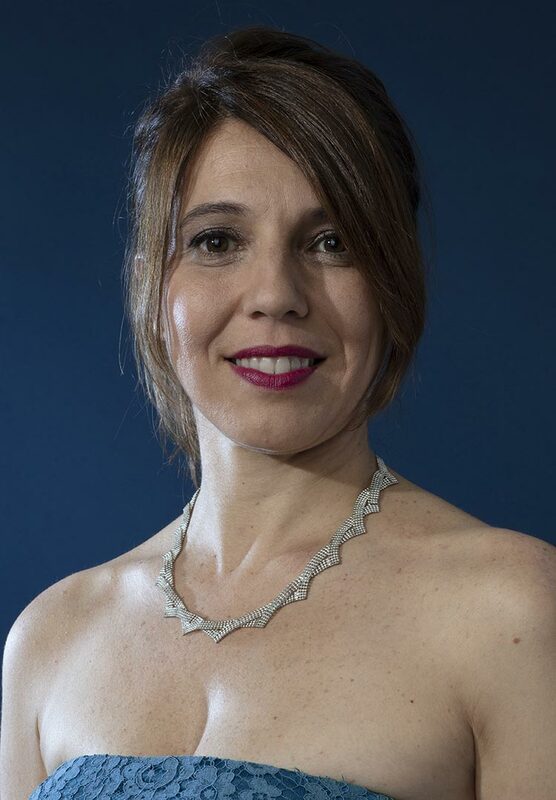 Marcela Magin is a viola soloist of Camerata Bariloche and Bach Academy of Buenos Aires, member of Trío Luminar and chamber music professor at the Teatro Colón’s Art Advanced Studies Institute (ISA). Since their inception, she holds the violist position in the groups Los Músicos de Cámara de Buenos Aires, Cuarteto de Cuerdas Buenos Aires, Trío Luminar and Los Solistas de Música Contemporánea. She graduated from the Higher Institute of Music of the Universidad Nacional de Rosario with a major in violin and viola, she continued her studies with maestros Mary Barg, Ljerko Spiller, Brunilda Gianneo, Tomás Tichauer and Szymsia Bajour. She performed as soloist with Orquesta Filarmónica de Buenos Aires, Orquesta Sinfónica Nacional and symphonic and chamber orchestras of other parts of the country, under the conduction of maestros Pedro I. Calderón, Simón Blech, Wolfgang Scheit, David Lloyd-Jones, Mario Benzecry, Jan Krenz and Andrés Spiller. She was viola soloist of the Orquesta Filarmónica de Buenos Aires until 2018. The OAS and the British Council for Cultural Relations awarded her with a scholarship in order to attend classes with maestro Bruno Giuranna in Siena (Italy) and Cornwall (England). She premiered several Argentinian composer’s works and played the Argentinian premiere of "A String Around Autumn" by Toru Takemitsu in 2000. In 2005 she was awarded with a Latin Grammy for her participation in the "Riberas" CD and in 2009 the Trío Luminar won the Konex as one of the five best chamber ensembles of the decade. Born in La Plata, he is currently a member of the Orquesta Estable del Teatro Colón (since 1992) and Camerata Bariloche (since 1995). In 2016 he founded the Cuarteto de Cuerdas Gilardo Gilardi, being nowadays the artistic director and first violin. As professor he holds the violin and chamber music chairs in the Music Conservatory Gilardo Gilardi, and the violin chair in the Music Conservatory Astor Piazzolla. He graduated from Music Conservatory Gilardo Gilardi as Violin and Piano Senior Professor where he attended the advanced training course for graduates. José Bondar and Carlos Sampedro were his maestros at that time. He then continued his studies with maestro Ljerko Spiller. He was also part of many chamber music ensembles and played in the Orquesta Estable del Teatro Argentino, Orquesta de Cámara de la Municipalidad de la Plata and Camerata Lysy. He performed as soloist in numerous occasions (Orquesta de Cámara de la Municipalidad de La Plata, Camerata Lysy, Camerata Bariloche). 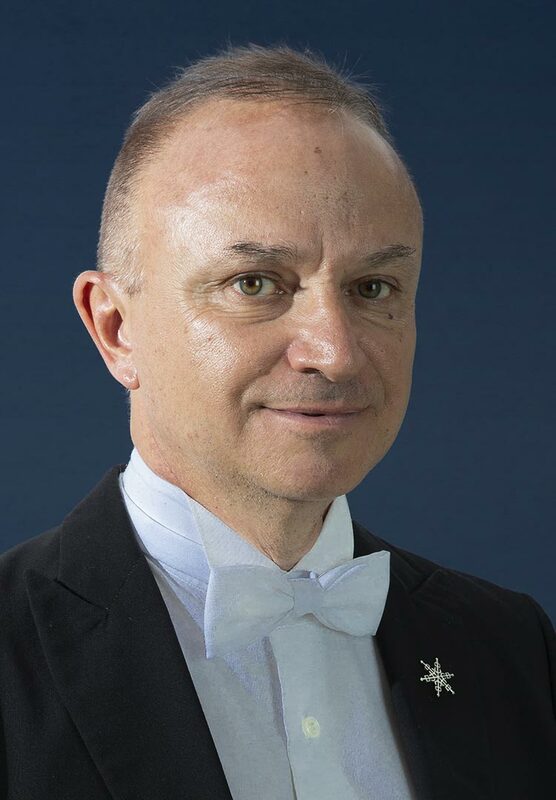 He was violin instructor of the Orquesta Académica del Teatro Colón (2006 to 2008), assistant professor of maestro A. Lysy (Cariló 2007), professor at the Youth Orchestras Second Festival (Chascomús 2007), he has also given violin courses and masterclasses in Mar del Plata, Córdoba, Bahía Blanca and La Plata (2009 to 2015), and he was also part of competition juries of relevant organizations. In 1992 he was granted a scholarship to study at the International Menuhin Music Academy (Switzerland). He devotes part of his time to composition and some of his works have been already premiered.